The fifth chapter of the greatest adventure in DC Comics history is here! Acclaimed for their collaborations on BATMAN AND ROBIN, SEAGUY and SEVEN SOLDIERS OF VICTORY: THE MANHATTAN GUARDIAN, superstar writer Grant Morrison and renowned artist Cameron Stewart deliver some magic to THE MULTIVERSITY with a breathtaking journey to Earth-5 – A.K.A. Thunderworld! 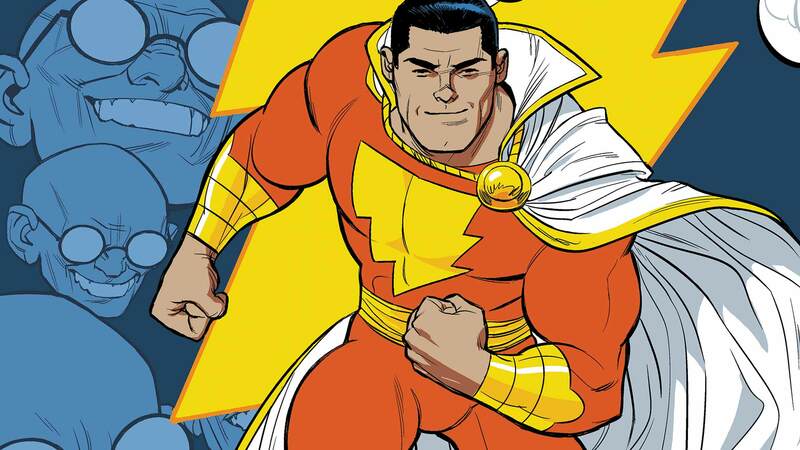 With a single word, Billy Batson transforms from boy reporter for Whiz Media into the world’s Mightiest Mortal – Captain Marvel! Along with the other members of the Marvel Family, Captain Marvel battles dastardly villains like Mr. Mind and the Monster Society of Evil! But now, his greatest foe has attacked the Rock of Eternity – the source of the Marvel Family’s power – and it could mean the end of reality as we know it! What impossible villains are Sivana teaming up with who could spell doom for the Multiverse? From where did Sivana’s children get their newfound super powers? And what does the appearance of one mysterious comic book mean for the heroes of Thunderworld? Find out all that and more in this exciting issue that acts as chapter five of THE MULTIVERSITY.